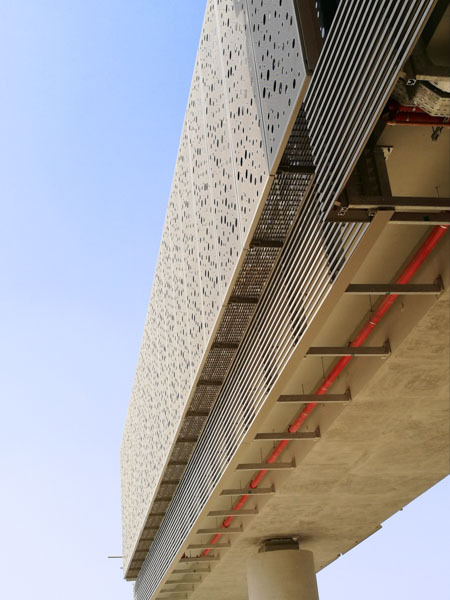 In 2016, the multinational consortium ANM, which includes the engineering firm IDOM-ACXT, awarded IMAR the panelling for the exterior façades of 8 stations on line 3 of the Riyadh Metro in Saudi Arabia. This famous project, consisting of a network of six lines, will serve as the backbone for restructuring public transport in the Saudi capital. Currently, IMAR has already supplied four stations and is about to conclude manufacturing for the fifth one. The expected total façade surface area is going to be 20,000 m2. The images shown below are of station 3B1 on Line 3, which has an approximate length of 40.7 km and 20 stations. 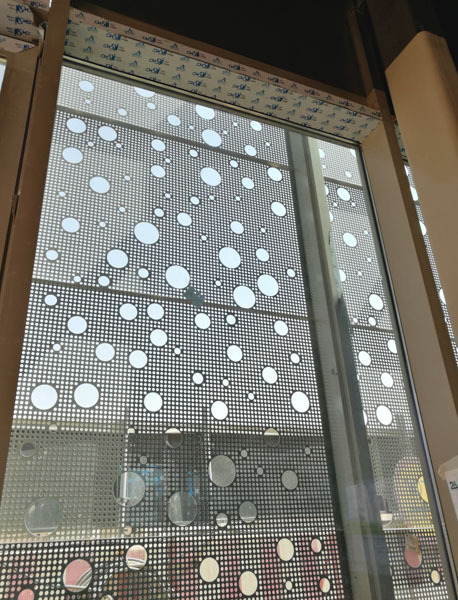 Its attractive design by IDOM-ACXT engineering, with Javier Aja Cantalejo leading the team, presents multi-perforated diameter aluminium panels and random distribution forming a pattern. 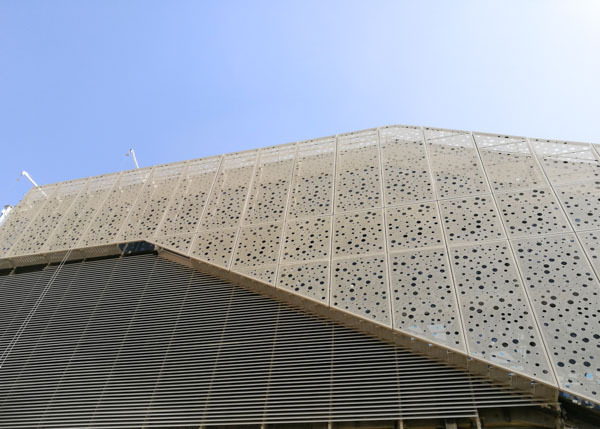 The solution was originally designed in 6 mm gauge but IMAR has managed to bring it down to 3 mm by developing special hidden welded stiffeners on the interior that fit with the pattern design, thereby reinforcing the double skin against wind load. Another outstanding feature of this job is the size of the pieces with inclined cuts that make up the staircase boxes to access the stations, some of which reach a length of 6.8 metres. IDOM provided IMAR with the opportunity to submit its proposal to ANM for the manufacture of the panels of the exterior façades of these eight stations, although there is a total of eleven and the bus stations at the ends of the line are still pending. Line 3 has an approximate length of 40.7 km and 20 stations.